Home Theatre Systems are a great source of entertainment right inside your own home. Lots of memorable times could be had with friends and family watching your favourite movies on a phenomenal display screen with incredible sound effects. It’s a great way to not only watch your favourite action film but the most effective way to play interactive games whilst viewing on a high-resolution home theatre. Imagine, sitting back and watching a motion picture in the comfort of your own home eating popcorn and snuggled up with that someone special, what a way to spend evenings. You can stretch out and relax on your couch, prepare tasty snacks in the comfort of your own home without having to walk out your front door. Home theatre systems can give you excellent viewing that is so much more comfortable than watching a movie in a theatre. In previous years, we would spend lots of money on pricey movie tickets but now, you can have the experience right in your home. 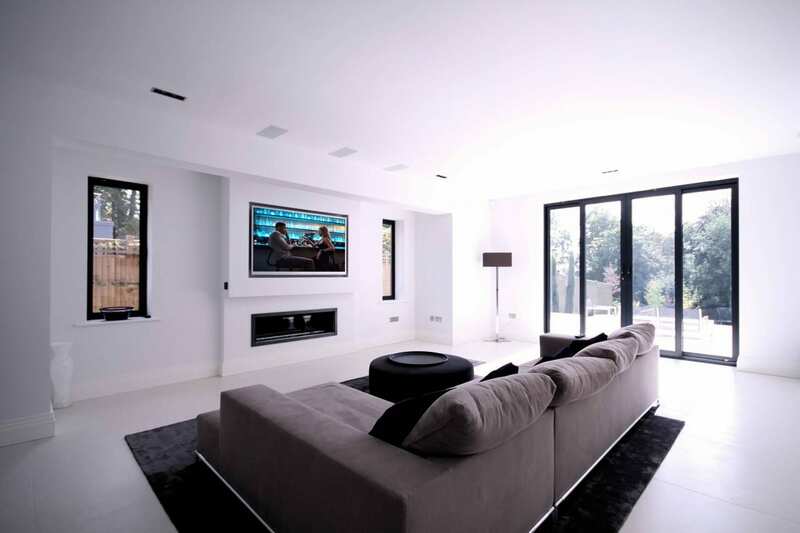 With the latest technology installed by the experts at McCormick Concepts in Australia, it’s a way to give you peace of mind knowing that your own home theatre system is on an easy to manage console or remote control. A home theatre system is a collection of advanced digital devices that provide an outstanding mix of fantastic visuals and audios. It consists of a high definition widescreen, a supersonic or excellent quality stereo with innovative audio speakers and an effective DVD player. The sound system is enhanced by its top quality surround sound effects and woofers. The major gadgets that comprise an ideal home theatre system are the huge screen display, reliable DVD players and surround sound system. At McCormick Concepts, a wide range of options are available for the screen. You can select from the most recent plasma screen or flat screen LCD. Alongside that, you will need a fantastic sound system which needs to have at least 4 sound speakers for excellent sound effects. In the surround stereos, the audio signal will be divided into a large number of channels and the discrete noise information will be transmitted through different channels. This causes impressive sound effects. The different speakers transfer various sounds giving you absolutely thunderous and incredible audio impact. The home theatre must also have a highly advanced receiver to amplify the various audio-video signals and send it out to the output device afterwards. It is crucial to have the different pieces of equipment in the area carefully organised. If they are not placed correctly throughout the room, you would certainly not be able to get the excellent theatre result you had hoped for. Having these installed by a professional from McCormick Concepts will give you peace of mind that you are getting the most out of your home theatre. sydney based and offering the very best customer service we have an excellent sales team ready to help and a phone call away. We offer a variety of theatre choices here at McCormick Concepts, You may choose from the classic type of system or the wireless home theatre Which may provide you with the comfort of being able to conceal all the wires that are not hidden so easily in the classic models. The system must be installed in a spacious but enclosed room, In open rooms, great acoustics will not be accomplished. You can easily get one of the best home theatre systems from McCormick Concepts. There is lots of information offered relating to the best specifications and other considerable points for efficient Home Theatre Systems in Sydney. Don’t hesitate to take a look on their site at www.mccormickconcepts.com.au and compare the rates, functions, quality, durability and other aspects of their outstanding products. Then its simple, just make a decision as to what you will need in your home theatre and we will do the rest. It’s as easy as that.